Lamborghini has updated the fantastic Huracan and added Evo to its name to prove it. Visually, the changes are evolutionary and, to many, subtle: Designers reshaped the front bumper and incorporated engineers1 front splitter and integrated wing. Similar work occurred in the back, with a nod to the Huracan GT3 Evo race car with high mounted twin tailpipes and a new spoiler. The Evo rocks some new wheels for good measure. The V10 is largely the same as well, but it’s updated with titanium intake valves and a lightweight exhaust system. We’ve already seen the valves in the Aventador SVJ as well as the Huracan GT3 Evo race car. With these new parts and a retune, power increases to 631 hp (640CV) at 8,000 rpm and 443 Ib-ft of torque at 6,500 rpm, which matches Huracan Performante outputs. 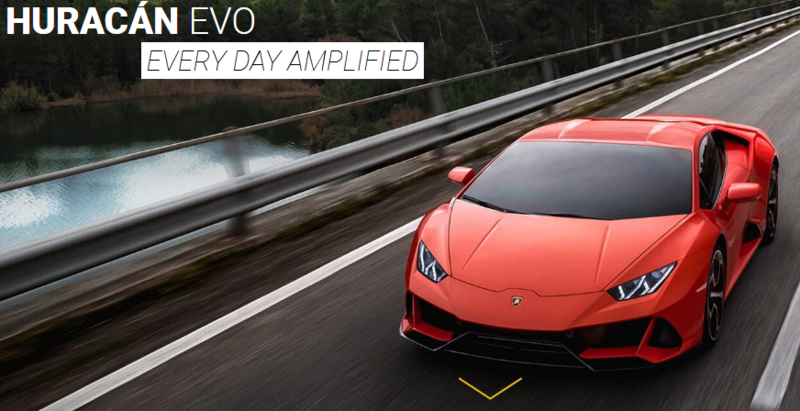 Reasonably enough, Lamborghini claims the Evo will match the Performante’s acceleration times of 0-62 mph in 2.9 seconds, with 0- 124 mph in 9.0 flat. More power is great, but the new technology may prove more significant. To start, the Evo has four-wheel steering in addition to the four-wheel drive, as well as torque vectoring. Rear-wheel steering is controlled by a computer called Lamborghini Dinamica Veicolo Integrata, or LDVI, which makes use of a suite of sensors called Lamborghini Piattaforma Inerziale 2.0 to command all systems that help dynamic behaviour. This includes things like traction and stability control, all-wheel-drive and torque vectoring. Lamborghini Dynamic Steering 2.0, a system to improve steering response and stability, was updated to incorporate the new rear-steering system. Theoretically, this will make the Evo more agile and responsive to driver inputs, especially in sport and corso modes. Any car: even a Lambo: cannot be new without new infotainment, so the Evo now gets an 8.4-inch touchscreen that features Apple CarPlay, the usual array of climate, media and navigation control. Not to be outdone by BMW, the Evo now offers many functions adjustable via gesture control. These include the seats, climate and settings of the aforementioned LDVI. To be honest, we’re skeptical of gesture control being an improvement. ← 2019 Honda Accord: Is it a good comeback?